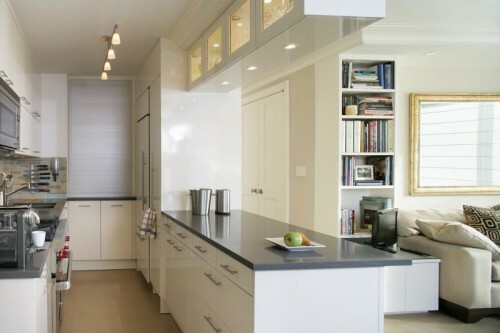 If you happen to have a small space in a suburban cape, you know how hard it could be to design functional areas that still looks stylish. 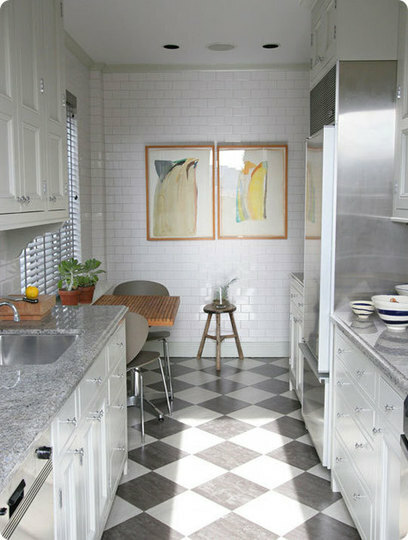 Especially hard the task is when you’re designing a kitchen. 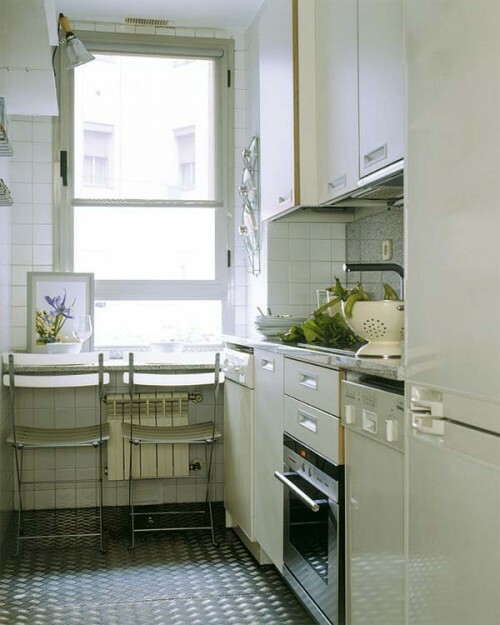 We all know how hard it is to cook in a small kitchen. 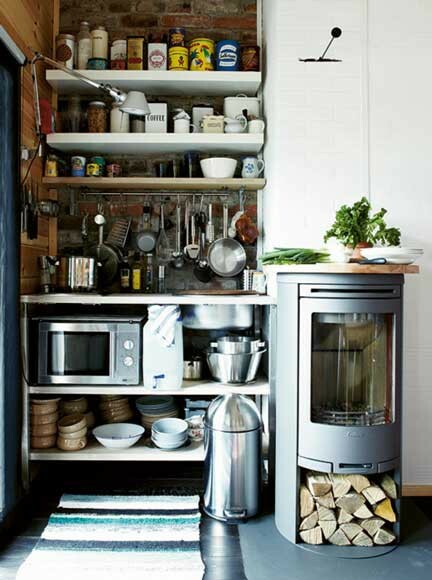 That’s why you need really thoughtful layout and enough storage solutions there. 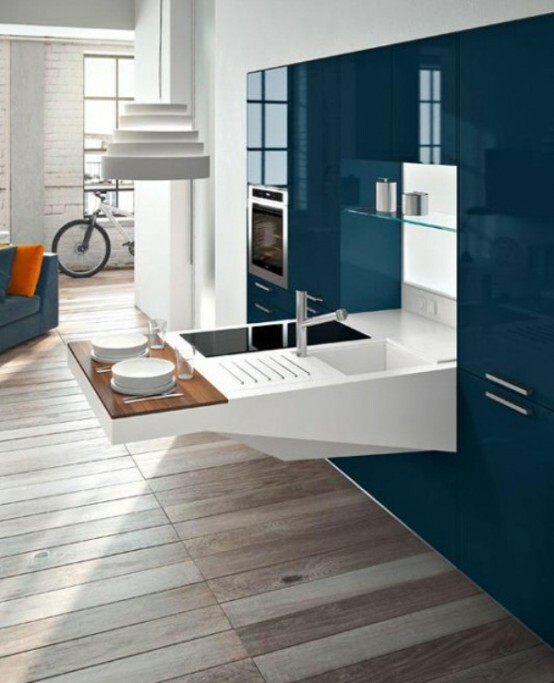 Otherwise, it won’t be comfortable to use. 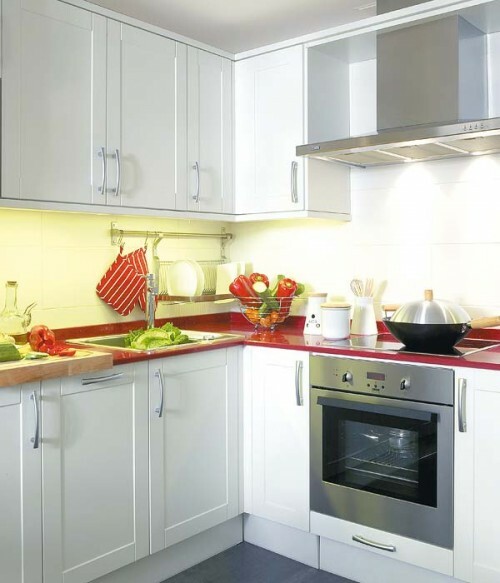 Even furniture manufacturers know that and create multi-functional compact kitchen units that help to solve these problems. 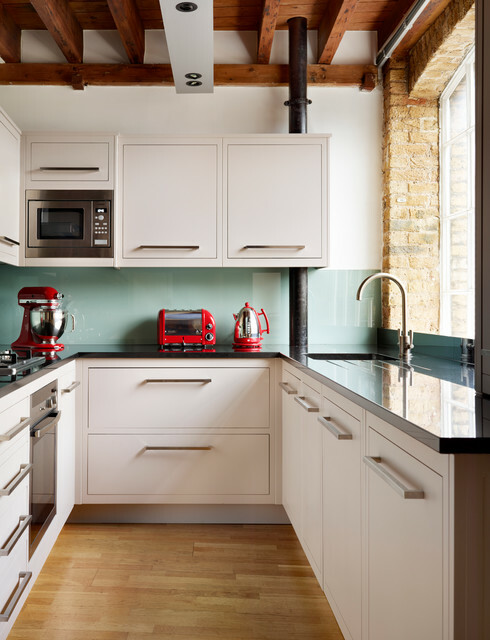 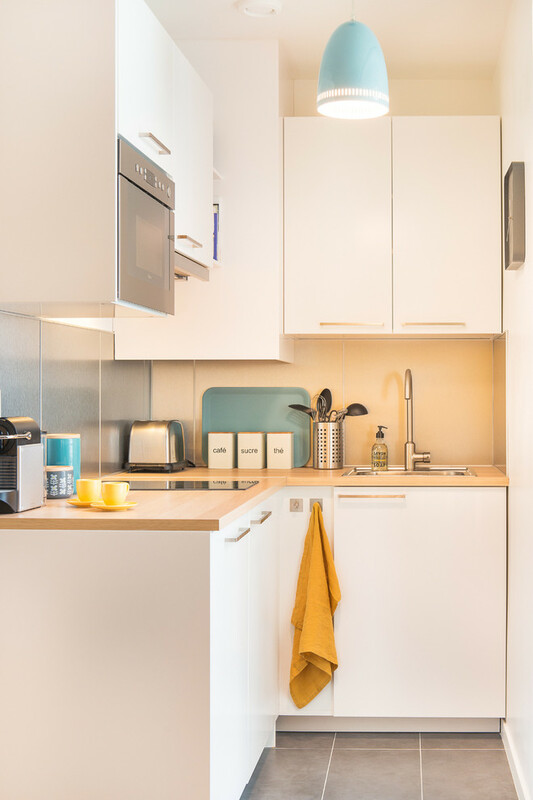 Although these units are usually quite pricey so our way is to make kitchens comfortable with standard furniture solutions that make the most of a small space and creative design ideas. 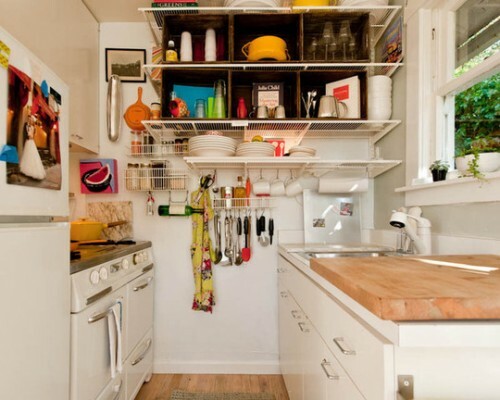 First of all, you need to understand that a small kitchen cannot accommodate everything. 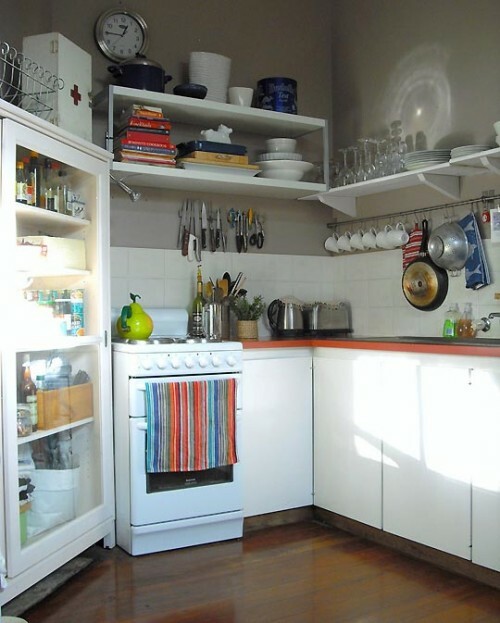 There isn’t space for mail storage, laundry stuff and lots of recipe books. 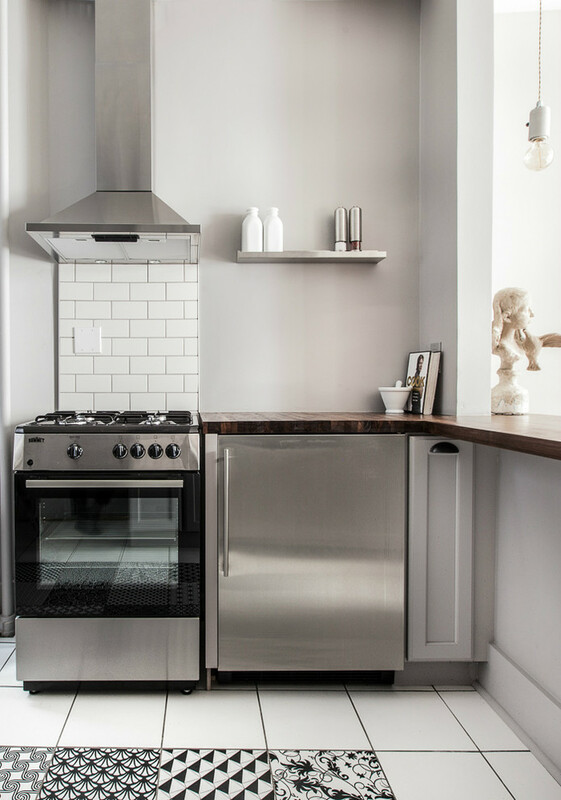 You need to focus on everything related to cooking. 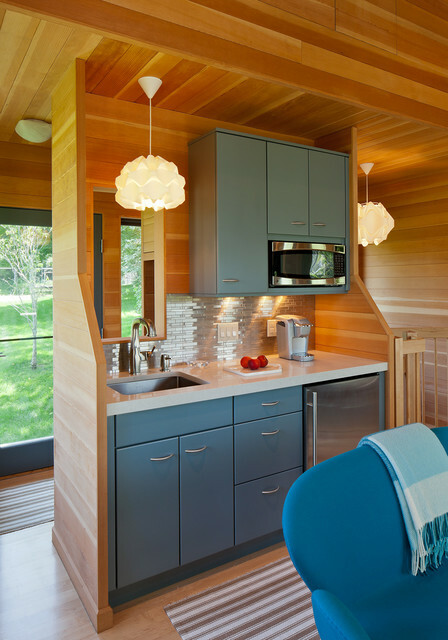 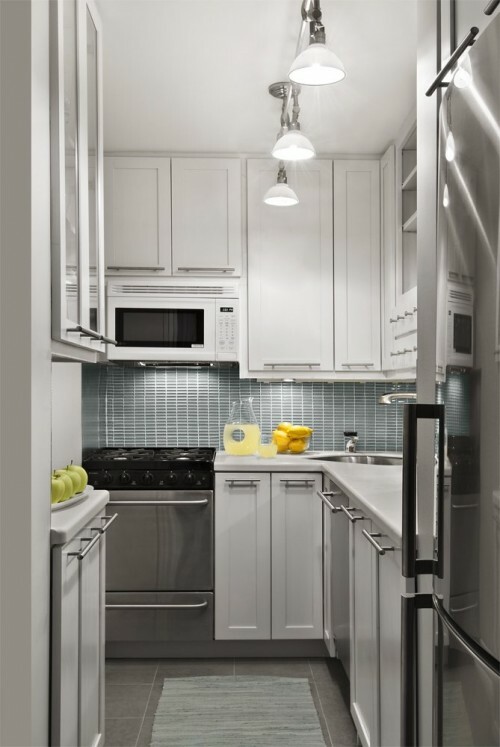 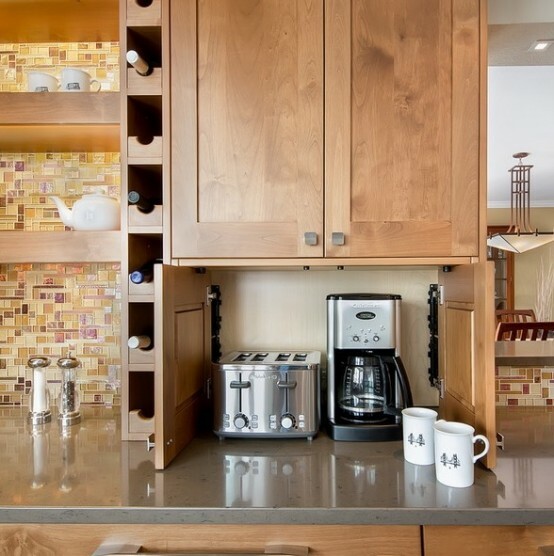 Use modern scaled-down appliances, built-ins and of course cabinets with practical organizers. 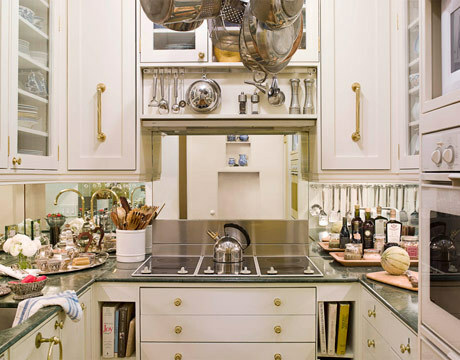 Just don’t forget to go through all your cabinets once in a while. 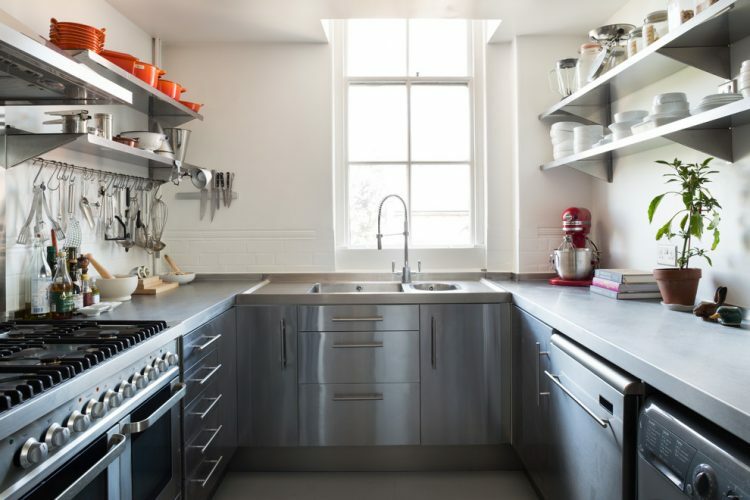 Otherwise, they soon will be filled with lots of unnecessary things and as a side effect, your countertops will be covered with clutter too. 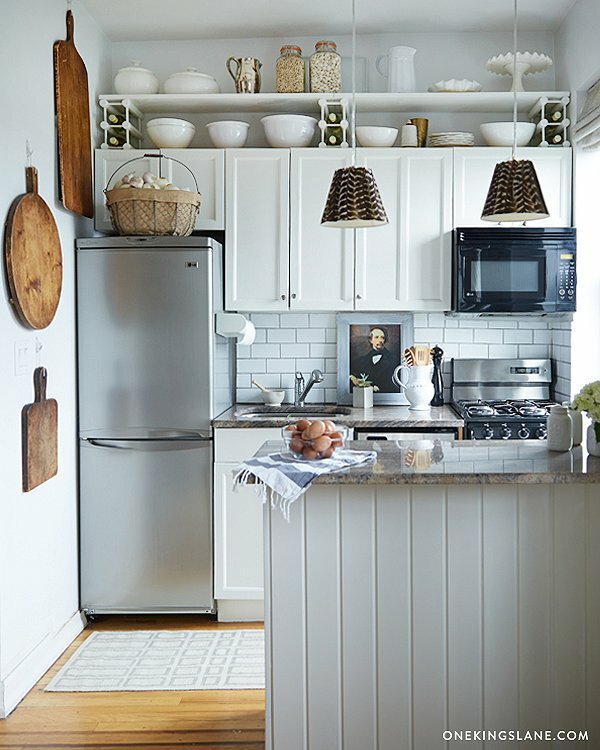 Btw, using floating shelves might also be a way to go. 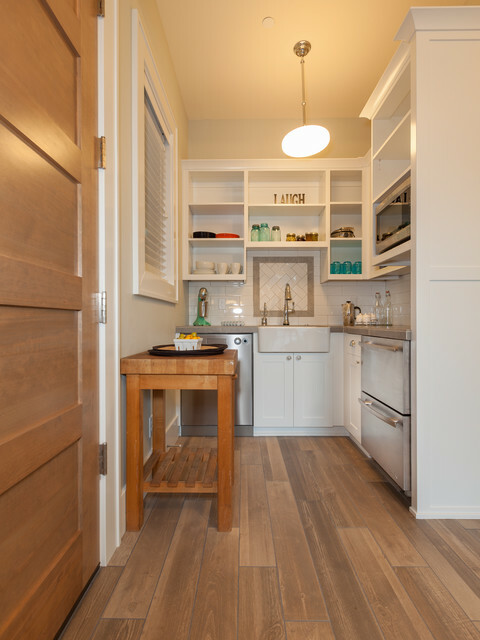 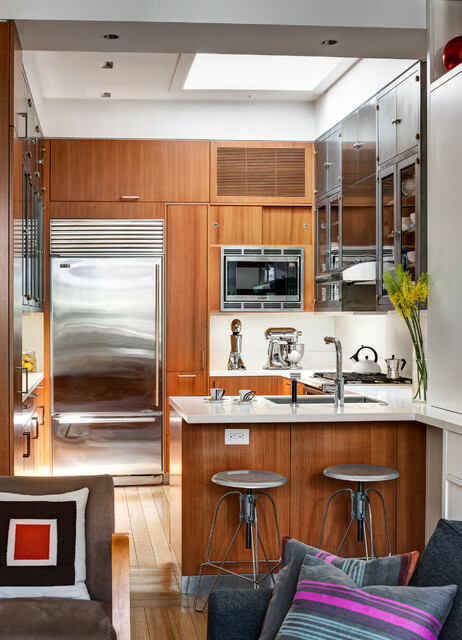 Tiny kitchens can feel claustrophobic with all these floor to ceiling cabinets but in this case that won’t be a problem. 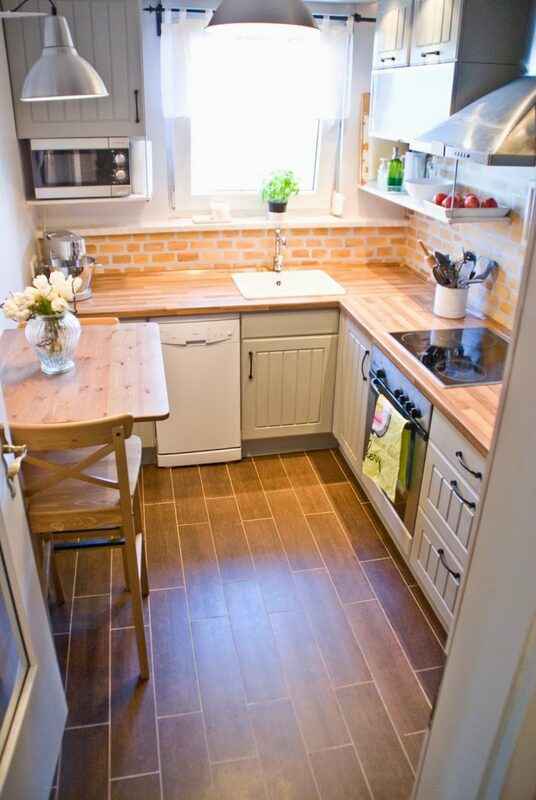 Lots of small kitchens don’t have enough counter space. 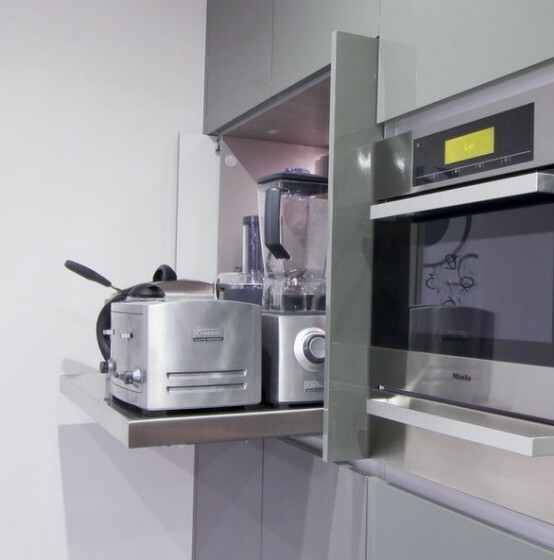 Although there are plenty of tricks that could help you with that. 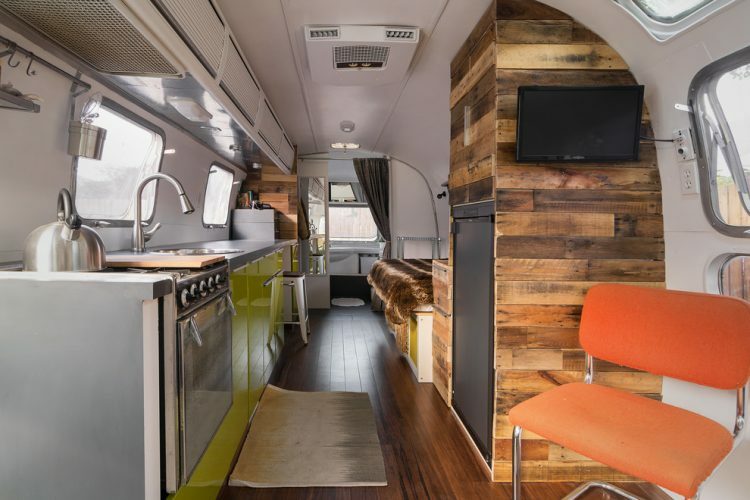 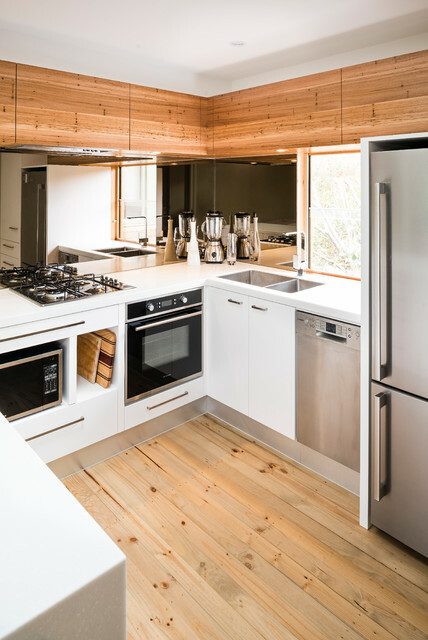 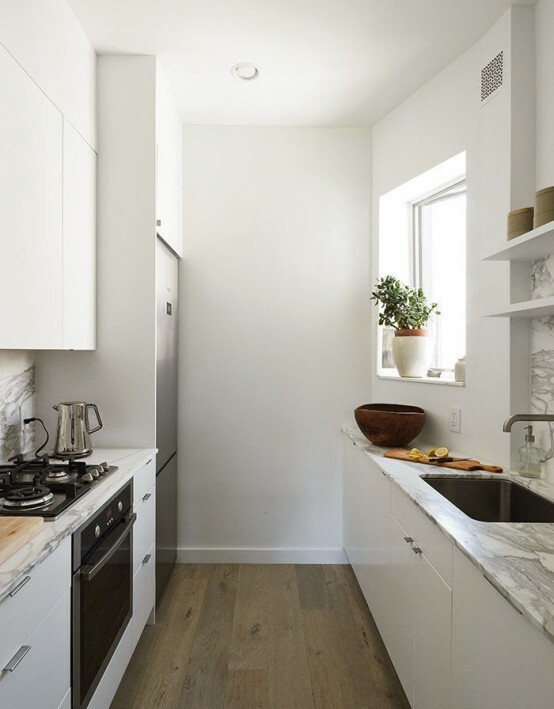 For example, you can cover your sink with a cutting board, use fold down tables, occupy your windowsill or use a small but functional kitchen island that features a dining area, additional storage or even built-in appliances. 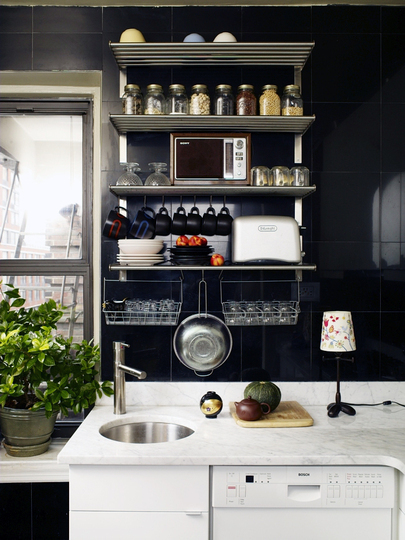 There aren’t large windows on small kitchens. 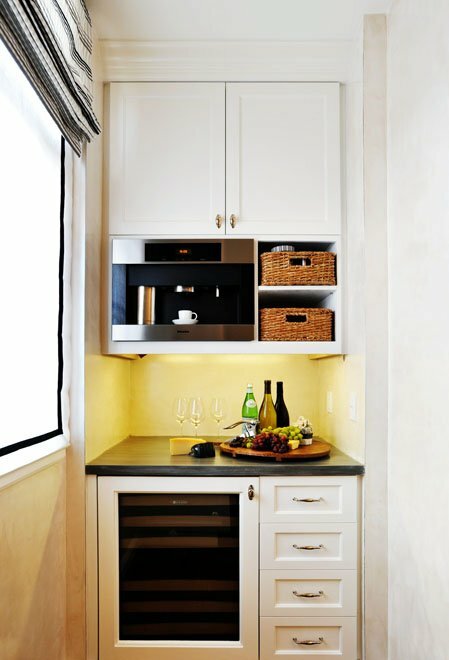 That’s why all your cabinets and shelves should have LED strip lights. 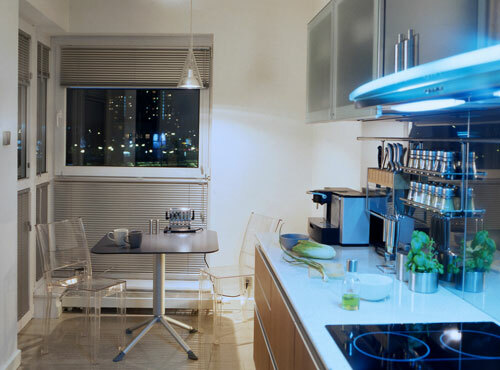 They are easy to install and provide more than enough light for comfortable cooking. 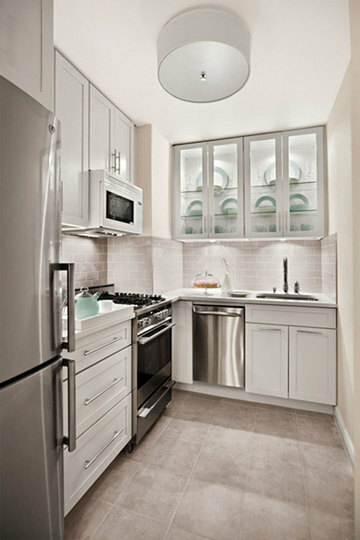 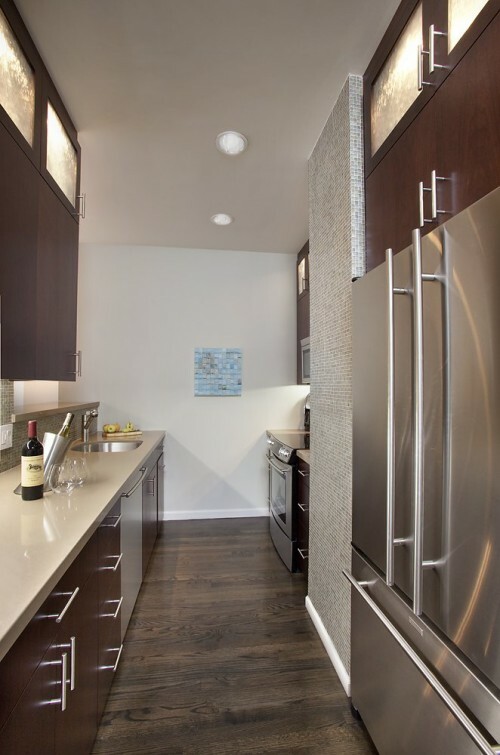 Besides, don’t forget about pendant lights above other areas you will use in your kitchen. 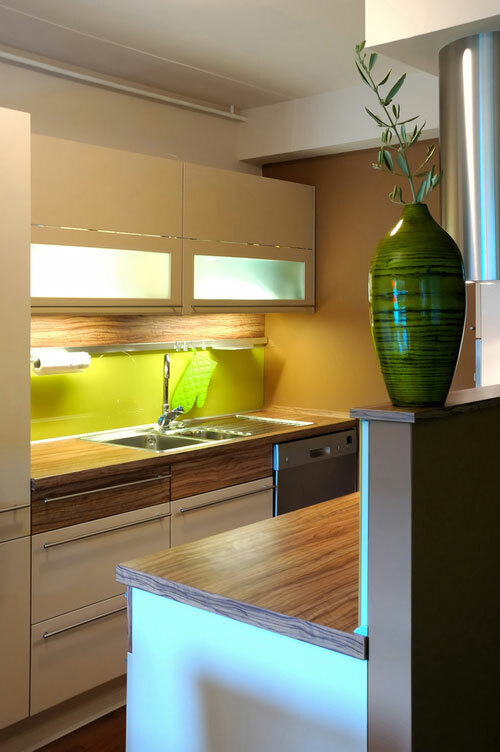 Btw, light furniture and wall colors also help to distribute light better. 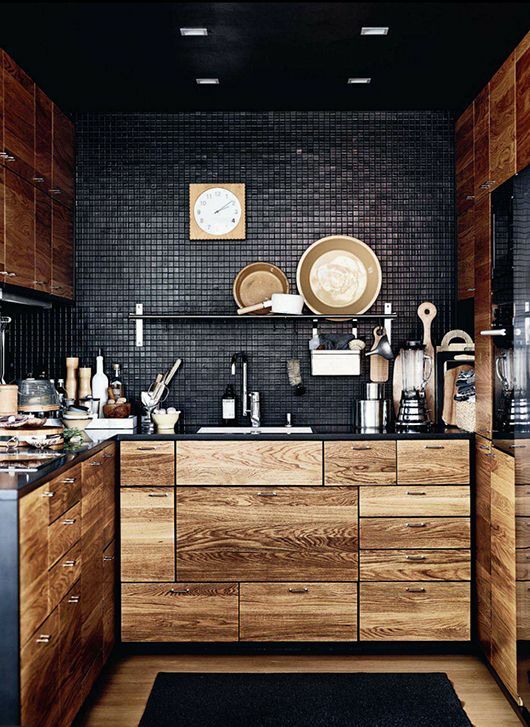 When your kitchen is functional it’s time to think about decor. 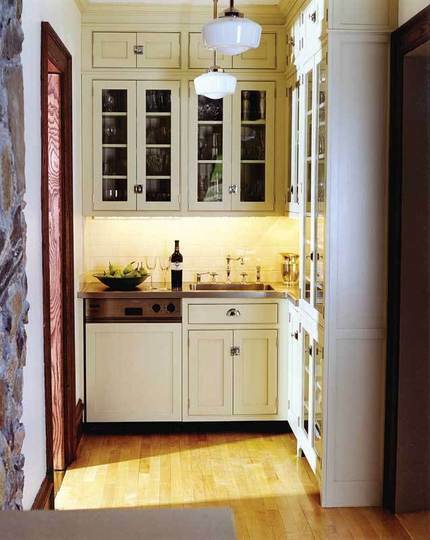 We recommend mixing the materials up to ensure an interesting look. 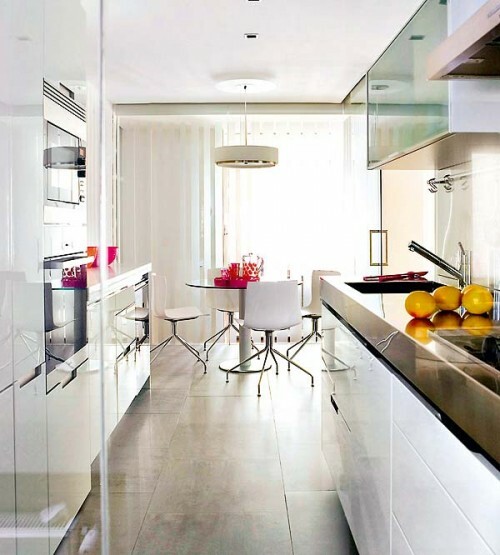 To visually expand the space you can use glass surfaces. 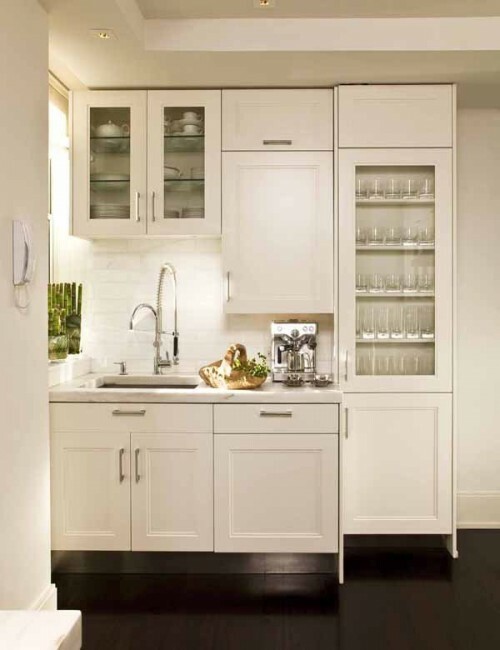 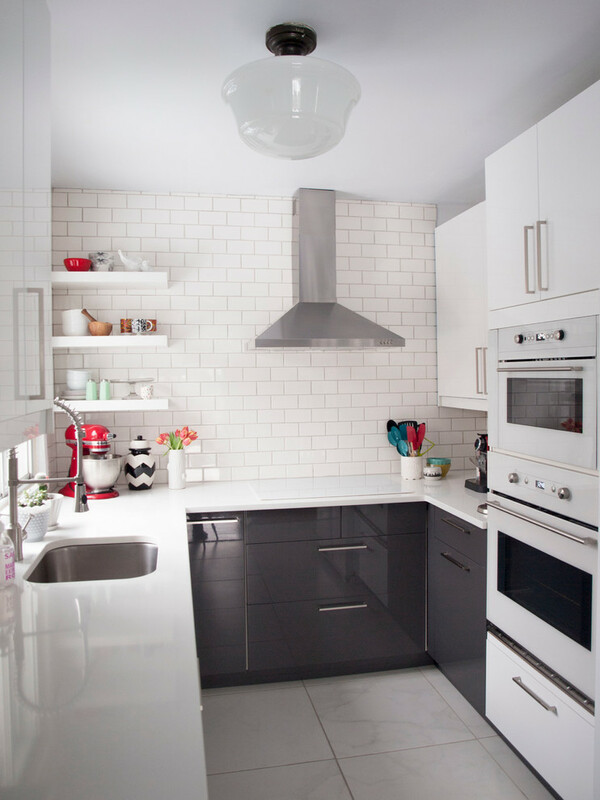 Glass cabinet doors and a solid glass backsplash are obvious solutions (you can even DIY such backsplash). 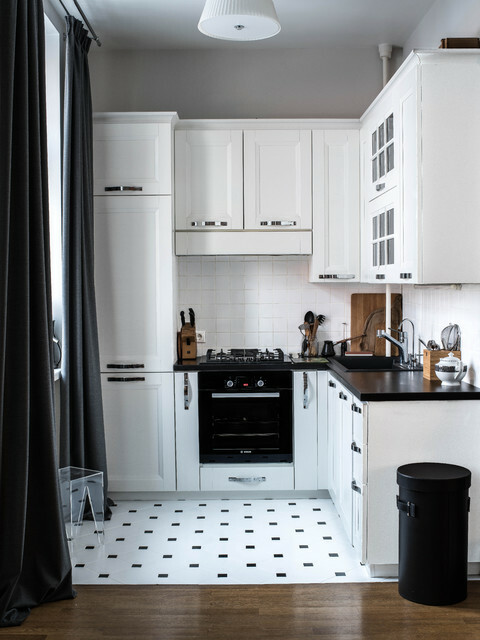 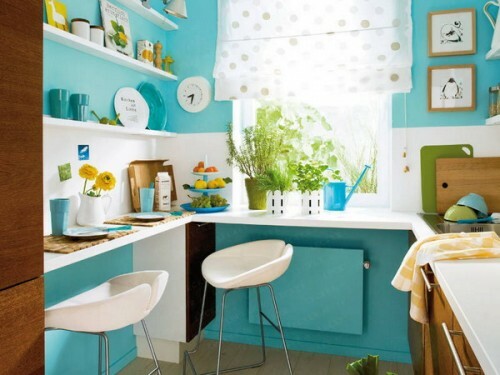 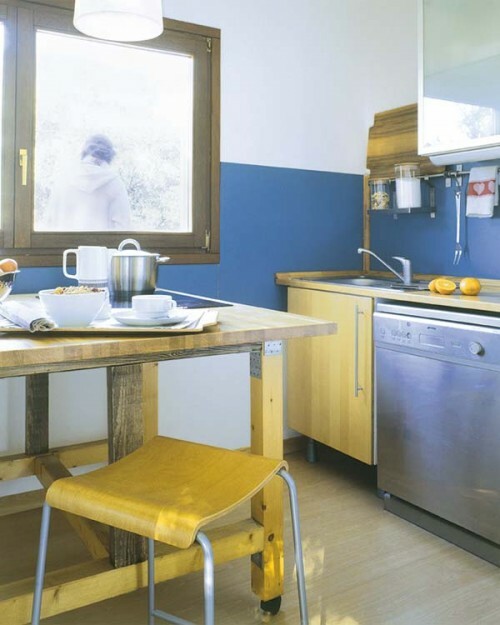 Even though white and neutral theme works really well for a tiny kitchen you can also go bold with color. 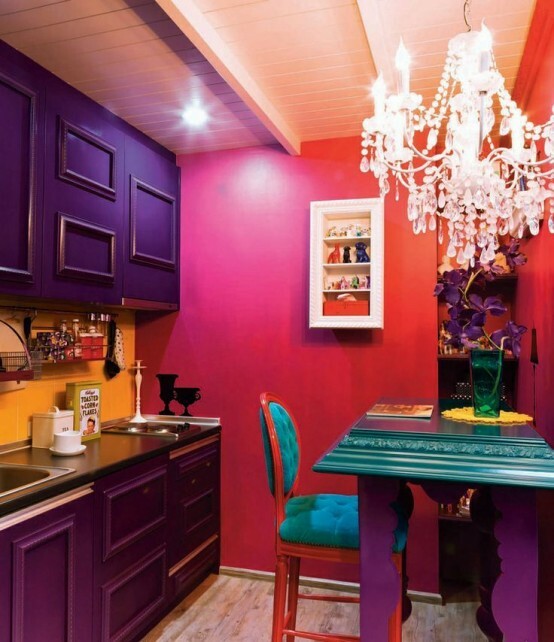 Mixed dining chairs in bright colors, colroful walls and cabinets and creative light fixtures could completely change an overall impression from your kitchen. 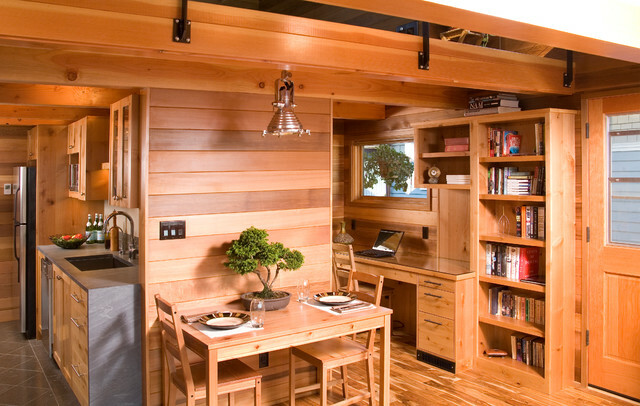 Sometimes it’s a good idea to embrace the space and don’t try to make it “look bigger”. 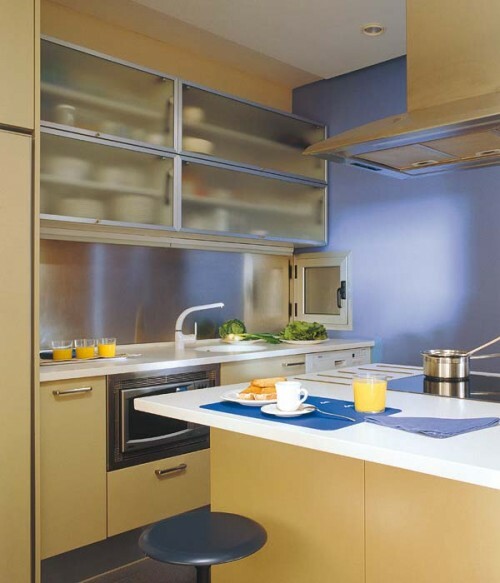 Below you’ll find plenty of good ideas for small kitchens that will prove that bigger isn’t always better. 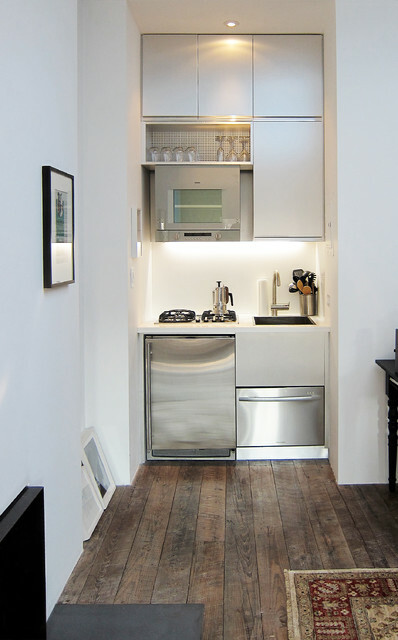 Floor to ceiling cabinets is a must if you want enough storage with a tiny layout. 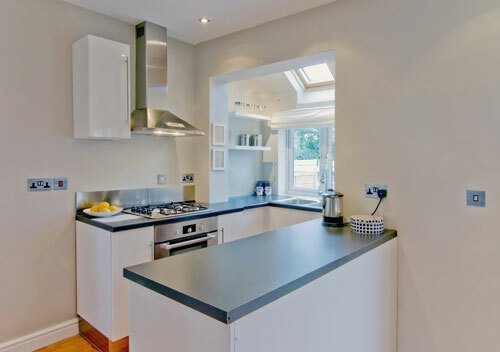 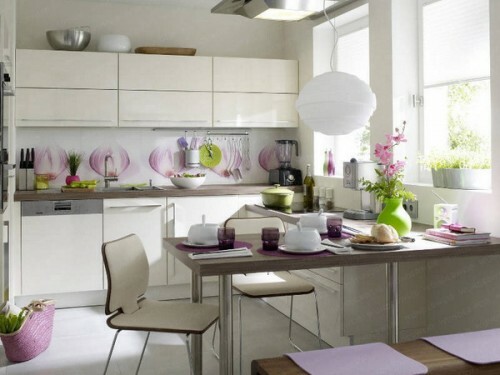 Kitchens in apartment are usually small but their look great in modern style. 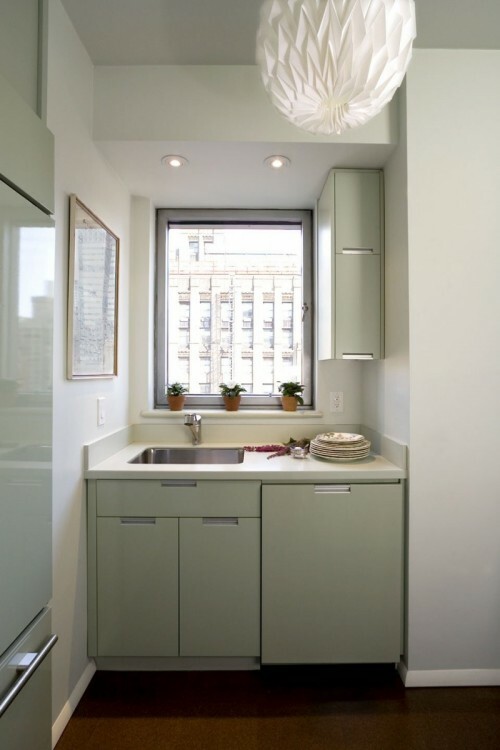 Even tiniest niches could feature a kitchen corner. 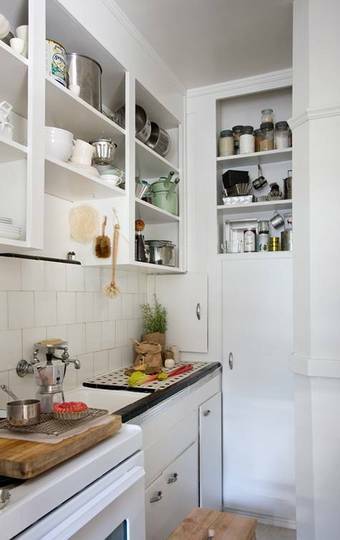 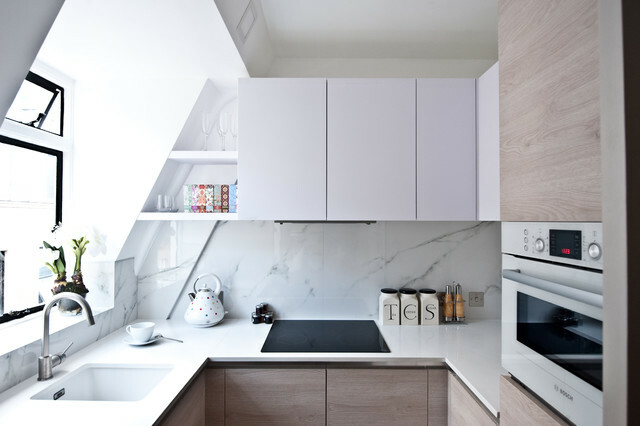 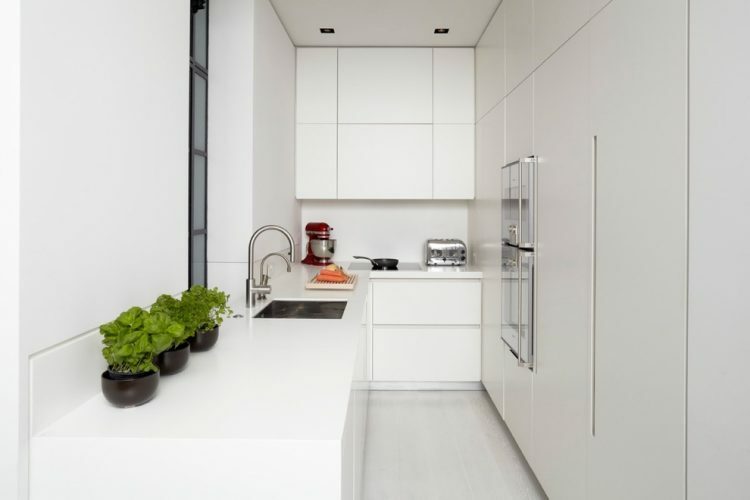 Open shelving could become a perfect storage solution for a tiny kitchen. 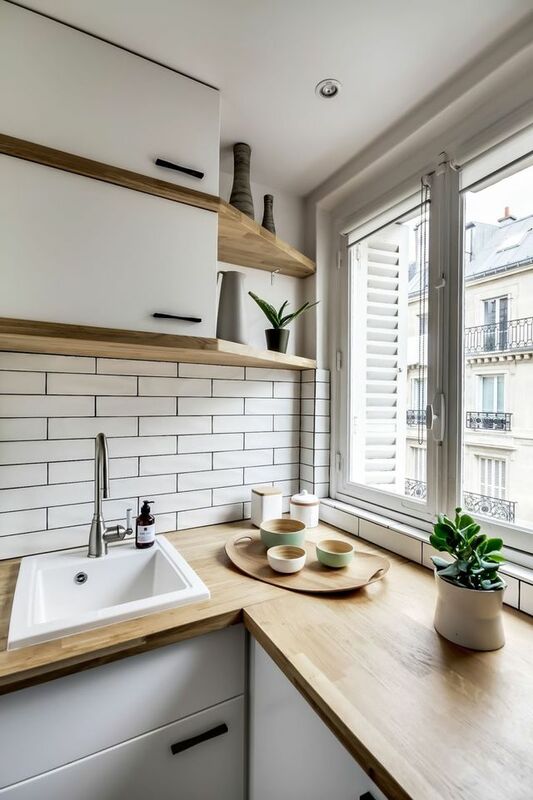 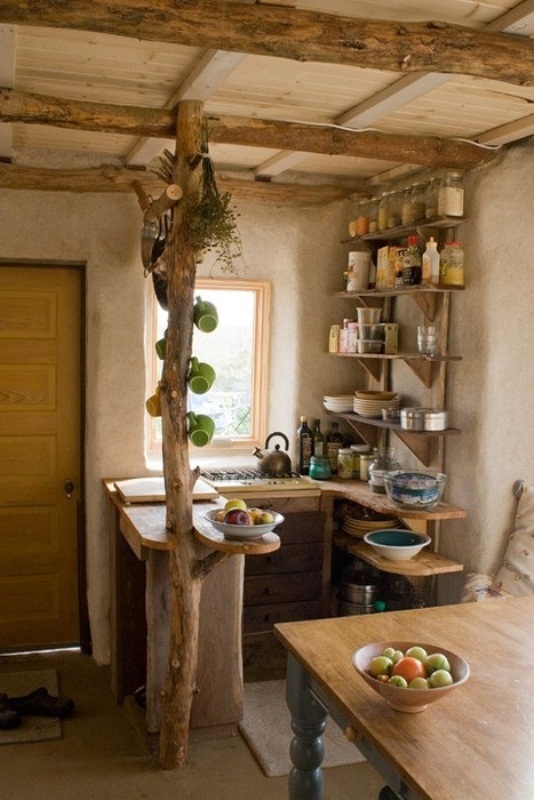 Small corner kitchens could be quite functional too.